While iOS 11 has a ton of new features for the iPhone, Apple has truly taken a substantial step forward on iPad. A nice revamp of some core features on the tablet have made it an even more capable device, and for some users may help it act a true MacBook replacement. Here are some of the highlights of what to expect in iOS 11 on iPad. The Files app is a welcomed addition to iOS. 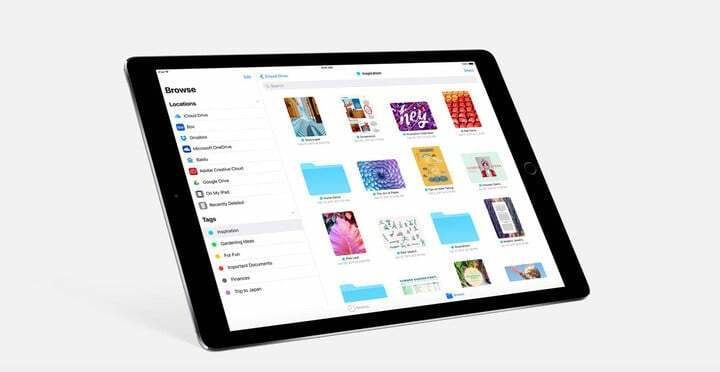 A long-requested addition, Apple has finally made it easy to handle files stored on the iPad and other locations. With the aptly-named Files app, you can organize, view, and structure files with folders, subfolders, and other options. 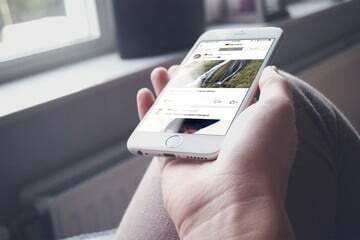 Along with iCloud Drive, the app even works with online storage providers like Dropbox, Box, OneDrive, and Google Drive. Offering a similar design to the familiar Finder on Mac, most users should feel right at home using the app on their iPad. When placed on the Dock, simply press the icon to open a file anywhere from iOS. You can also give access to any iCloud Drive file to another user through Files. The app is also available on the iPhone as well. 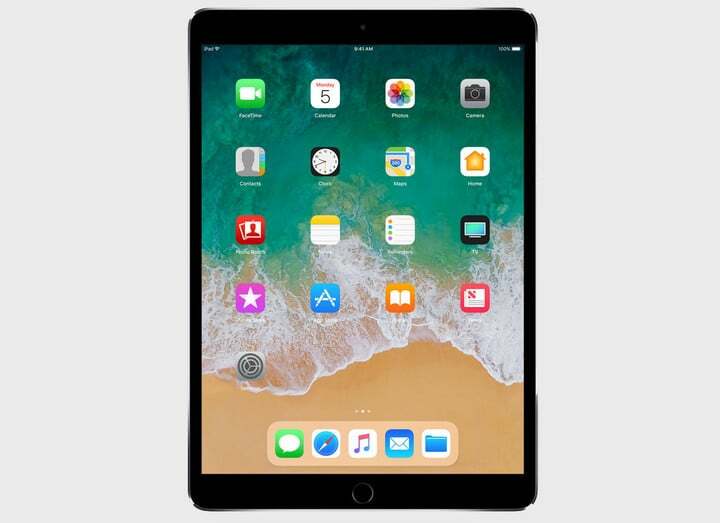 It’s a huge addition, and make iOS easier to handle – especially now that some iPad models offers as much as 512GB of local storage. The Dock can hold up to 13 apps. Another new feature with a very Mac-like touch is the new Dock. You can load the area up with a maximum of 13 apps, and they are always accessible at any time with a quick swipe up. It even offers intelligent app suggestions including recently opened apps and even apps you’re using on both your iPhone and Mac. Just tap on another app on the Dock to quickly switch between titles. And you can even drag a Dock app into Slide Over or Split View. The App Switcher also takes a page from the Mac. A longer swipe up from the bottom of the screen will launch the new App Switcher. Taking inspiration from both Launchpad and Mission Control on the Mac, it houses the new-look Control Center and the apps you’ve currently got open. You can view a small preview of what each app has open. A quick tap of each app will quickly open it. The drag and drop feature open ups a number of possiblities. Slide Over and Split View are also getting supercharged. A second app can be opened directly from the Dock. The Slide Over app can also be placed on either the left or right-hand part of the screen. You can even quickly and easily swap out apps on the screen. But arguably the biggest addition in iOS 11 is drag and drop capability. You can drag pretty much anything – including apps, documents, photos, texts, and more – by tapping the item and then holding it. It’s old hat to anyone who has every used a desktop but on an iPad, it’s a substantial improvement to the usual workflow. And anyone with an Apple Pencil should be happy to hear that the stylus is even more useful on the tablet. With the Instant Markup feature, it’s easy to write on a screenshot or PDF. Just touch the Apple Pencil to your iPad’s screen and start writing. On the lock screen, just touch the stylus to the screen and you can start automatically taking notes that are saved in the Notes app. Along with being able to add inline drawing to mail, all handwritten notes are searchable through Spotlight. The first beta version of iOS 11 was seeded to registered developers after Monday’s WWDC keynote. A public beta should arrive sometime later this month, and anyone can sign up for it here. 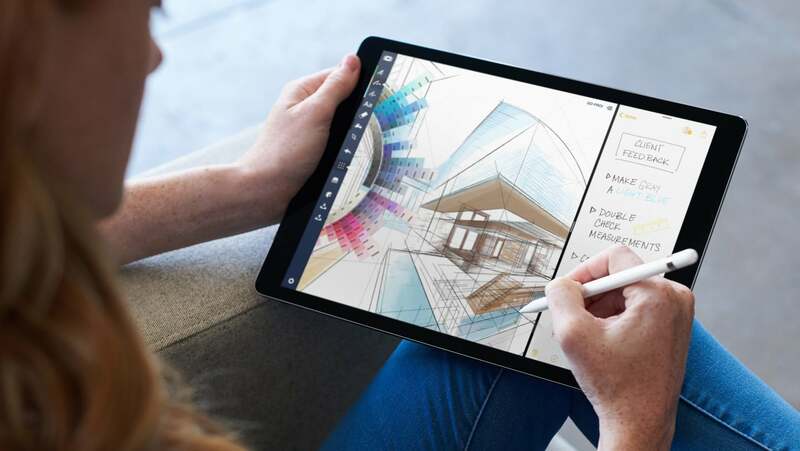 Anyone with either generation of 12.9-inch iPad Pro or the new 10.5-inch iPad Pro unveiled during they keynote can take advantage of all the new features. The other iPads capable of running iOS 11 will be limited in using some or all of the Slide Over and Split View modes.